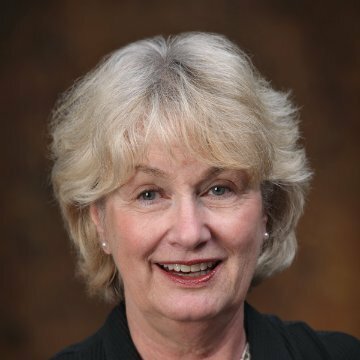 Prior to joining Cincinnatus, Nancy Speer, who serves as our president and one of our principals, spent more than thirty years in strategic leadership positions in the non-profit and public sectors. She brings to the table a wealth of experience in strategic planning, philanthropy and institutional advancement, governance, and organizational development. She advises clients on philanthropy, campaign and project feasibility, development assessment and planning, and strategic planning. She also offers her clients interim leadership and counsel related to governance, executive leadership, and executive searches. Nancy’s core strengths include: a strategic approach to problem solving; “big picture” thinking while not losing track of the details; a deep knowledge of best practices in non-profit management, governance and fund development; and, a keen ability to motivate leadership teams—board, executive and staff. Nancy has helped organizations strengthen their boards, grow their philanthropic income, and raise millions of dollars in campaigns. She most recently served as Senior Vice President at Planned Parenthood Minnesota, North Dakota, South Dakota. Earlier she served as Vice President for Development at Abbott Northwestern Hospital, Director of Development at Breck School, and External Relations Director at the University of Minnesota’s Humphrey School. Nancy currently serves on the executive committee of The Nature Conservancy of MN-ND-SD, and she chairs the board of womenwinning. Her recent public service has included board leadership positions at the Minnesota Center for Environmental Advocacy, the Loft Literary Center, the Advocates for Human Rights, and Lake Forest Academy. She was Vice Chair of the Metropolitan Airports Commission. She also has served on the boards of Minnesota Landmarks, the Minnesota Center for Book Arts, and the Minnesota Newspaper Foundation. Nancy holds a B.A. degree from Wellesley College and an M.A.T. from Wesleyan University (CT). She was recipient of a Bush Leadership Fellowship. Lake Forest Academy recently honored her as Woman of Distinction and member of the Hall of Fame.